4. In order to configure a non-configured data source, specify Name and Description (optional) for the data source and select a Gateway. 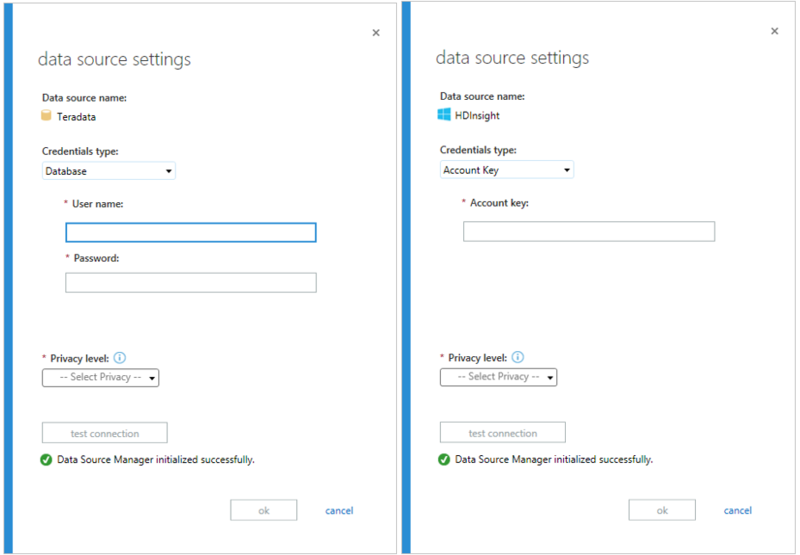 Then click the set credentials button to launch the data source settings dialog. The layout of the data source settings dialog depends on the Credential type for the data source. 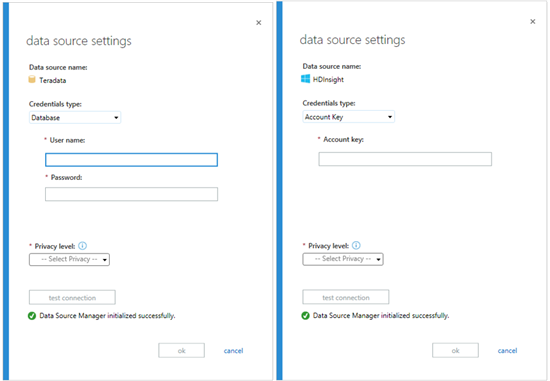 For example, you can specify Database or Windows authentication for Teradata, and Account key for Azure HDInsight. You can specify other data source settings in the dialog including privacy level and encrypt connection for relational databases. You must test connection before clicking ok to save your credentials. And don’t forget to click save in the Admin Center to commit your modifications to the data source . The data source status will be changed to configured.